Beddington Farmlands is being developed into an urban nature reserve within the heartland of the Wandle Valley Regional Park (WVRP) http://www.wandlevalleypark.org.uk/. The Wandle Valley Regional Park is a linear park that runs the entire length of the River Wandle from source to mouth (see fig 1). The WVRP will be the South London equivalent of the Lee Valley Regional Park in North London. 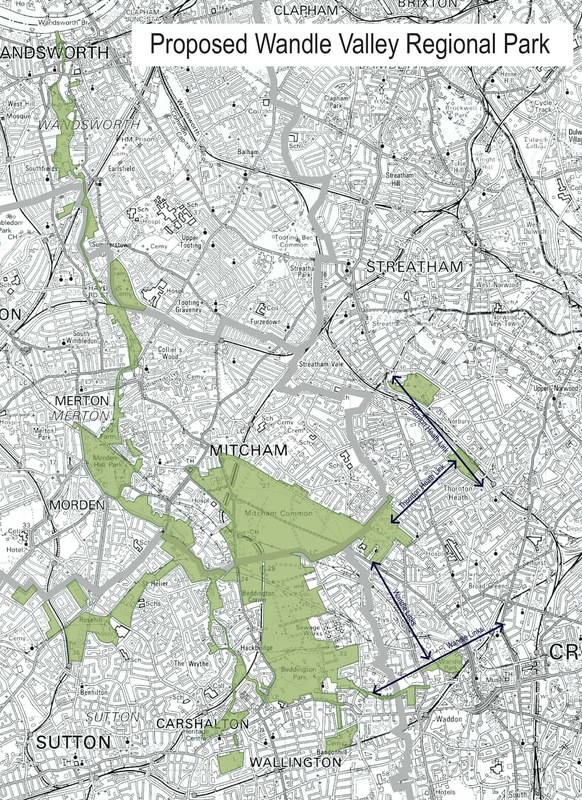 Beddington Farmlands will form a nature reserve within the heartland of the Regional Park forming the largest contiguous green space and open area within the park (flanked by Beddington Park in the South and Mitcham Common in the North: fig 1). Currently Beddington Farmlands is used for waste treatment by Viridor and the site is being restored to a series of important habitats for wildlife. 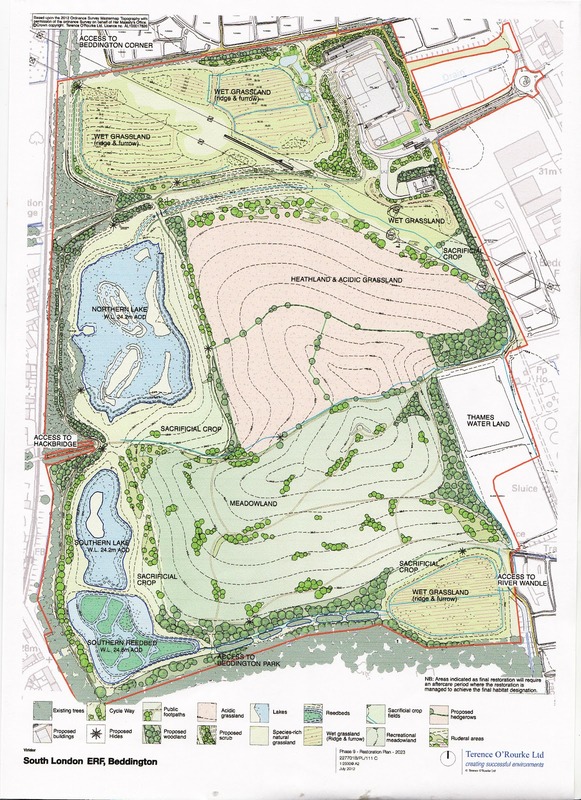 The restored habitats will comprise wet grassland, lakes, reed beds, meadowland and heathland and will comprise one of the largest nature reserve areas within Greater London (Fig 2). Currently there is restricted access to the reserve but it will be open to the public on completion.